Kendra Fletcher is a popular podcaster, blogger, and book author. She writes at her own space but also directs you her archive of articles she's written for at KeyLife Ministry, where the motto is "God is Not Mad At You." YOU DON’T HAVE TO DO CHURCH ANYMORE. For some of us, church attendance was a non-negotiable weekly imperative with many assumptions attached to it. Our attendance and involvement has been linked to our faithfulness, our commitment, and our spiritual depth. Church attendance should be none of those things. It’s entirely okay to step out. For all of us, church attendance IS a non-negotiable. Mainly for the reasons of...the Body (Romans 12:5), gratitude (Colossians 3:16), and command (Hebrews 10:25). It is entirely not OK to step out. Mrs Fletcher's second point is that it is OK to step out if you were doing it for the wrong reasons. Take time to reassess, navel gaze, grab some me-time, she says. Not in those exact words, but close. If you find that your church has become an idol, or ritual, or that you have become spiritually neglectful toward others within that body, or whatever wrong motivation you'd had- the solution is not to step out. You repent and confess. You lay your sin down in front of the throne, asking for forgiveness, and lay your sin down in front of the pastor and church people, and ask for forgiveness. Then pick yourself up and go next Sunday, pleading with the Spirit to help you grow in this area. Answering a concerned or critical question about why you aren’t involved/serving/plugged in/part of a community group can be answered with a simple, gracious, "I’m working through some stuff and just need some time, thanks." Then walk out the back door. What about relying on the Holy Spirit to help you through 'your stuff'? What about dumping the prevalent attitude that I can work through my own stuff, Jesus need not apply, thanks. What about realizing that 'your stuff' is the Body's stuff and that you're not supposed to carry it alone? (Galatians 6:2). What about setting aside 'your stuff', die to self, and help someone else who is going through stuff? a term referring to an improper fixation on law or codes of conduct for a person to merit or obtain salvation, blessing from God, or fellowship with God, with an attendant misunderstanding of the grace of God. Simply put, legalism is belief that obedience to the law or a set of rules is the pre-eminent principle of redemption and/or favor with God. We know that grace first abounded in God's sovereign choice to regenerate us as a person from dead in sins to alive in Him. POST salvation, our gratitude becomes so great and our worship so deep, we want to obey the Word that comes from a wellspring inside us that flows from our regenerated heart up to heaven, into the throne room, passing the cross with a wide-eyed gaze of wonder and relief. Here is TableTalk's most recent essay that happens to be on the topic of Joining and Being a Member of a Church. Their biblical take on it is that church membership and regular attendance is non-negotiable. There’s not a hint of individualism or independence anywhere in those images. Nowhere does Scripture describe, much less prescribe, the Christian life as something that can be lived alone. In Christ, each Christian is related to every other Christian, and together we are the family of God (Rom. 8:14–16; Eph. 2:19–22). Deep commitment to and active participation in the church are nonnegotiable. There are legitimate reasons for leaving a church, and the TableTalk essay covers those and gives practical ideas for maintaining one's obedience to the Word as you transition. Ladies, don't let popular bloggers deceive you into thinking church attendance is a negotiable. You really can't hit the pause button for temporal, selfish reasons and then pick it back up when you're good and ready. To say that it's OK not to "do church"? That is a repellent phrase. It's undignified given the majesty of the Triune God whom we worship the wondrous Person we praise, Him who saved us from a craven life of rebellion and an eternity from the tortures of hell. The chief end of man is to glorify God and enjoy Him forever. One way we do that is go to church, faithfully, regularly. Not 'doing church' but loving the God who gave us His body, of which we are a part. I do have disagree with you on this one, Elizabeth. There ARE reasons why some must step out of church. These reasons impose conditions that make absence at church and existence of gut-wrenching existence. Christians are church-shaped, and to not fit into the church mold is like living after the last lines of Kurtz' last line of the movie. Apocalypse Now Redux: "The horror...the horror." Some Christians are struck with Alzheimer's or Parkinson's Disease. In the early stages of either one, a person can seem to exist well, but all is not well. They are struck with medications that practically ensure that their life is not going well. On into Parkinson's, hallucinations or delusions can and do turn up in some patients--a Parkinson's patient may break into loud tears and even screams because they think a dog, that does not exist, is preparing to attack them. Parkinson's patience can and do go into occasional rages--what I believe was happening to Hillary Clinton when she made her maddening and infamous statement, "What has that got to do with anything?" Some, particularly men, must deal with physical ailments that drive them to the restroom two, perhaps three or four times, during the course of a church service. It simply becomes embarrassing for them to have to get up and leave the worship center often. There are, of course, other, similar things that could well inhibit or stop church service attendance altogether. Thought I appreciate your teaching, I must disagree with you. It's obvious that physical or medical limitations preventing regular attendance is very different from the lady quoted in the article steeping out so she can work on "stuff." I said in the article "selfish reasons." If at all physically possible, go to church. Period. It may be physically possible to go to "a church" but it isn't biblically required. We are just told to not forsake meeting with other believers. That doesn't require going to church. Well you're wrong as wrong can be on that one, but I'll leave you to your stance and you can take it up when you face the One who absorbed all God's wrath for you so that you can have the freedom to reject your attendance at the weekly main corporate gathering in His name. So if the only "CHURCH" in your area teaches aberrations or heresy, then one must travel to find one or be in sin? And what if the closest one worthy of being called a church takes an hour to get to? Or longer? Again, what if one is unable to be off work on Sundays? This is my problem with the legalistic attacks on people don't want to go to a local assembly due to false teachings and there are no fundamental assemblies within a reasonable distance. And also the guilt trips put on people whose jobs force them to work on Sunday. I've known people who traveled an hour, with kids, to a church that teaches orthodox doctrine. Yes. Others whose only choice is a heretical church or one a LONG distance away, started gathering weekly on Sunday with local, like-minded folks, yes, in effect starting their own church. If you're so hard to convice to go to church in America where the going is easy, I wonder how quickly you'd abandon it when persecution comes. The people I've read about who walk hours to get to church, or who meet weekly in cellars under flashlights, at risk of death and imprisonment, certainly DO feel that making the church gathering a priority is wirth the risk to life and limb. They do not parse verses or make excuses. They GO. I would say that it is perfectly fine to not attend any "church" if you can't find a good one. The Bible does NOT say we have to attend any building. All it says is to not neglect meeting together with other believers. This can be done without going to "church," since body of believers IS the "Church." That Hebrews passages is severely and often abused to tell Christians that they HAVE TO go to "church." "A good one"? Churchgoing is not a matter of personal preference. If the only church near you isn't heretical, go. If there is more than one nearby, visit and choose which one you will join, submit, and attend. It's splitting hairs to separate my use of the word 'church' from the general and obvious meaning intended in the article, which is the weekly corporate gathering of believers, members of whom the pastor has accountability over you, i.e. the body. It is all the same meaning in this discussion. Therefore, 'going to church' means the weekly main gathering in which the Word is preached. Meeting during Monday nights or Wed mornigns for a small group, is not the same. So if one is unable to attend a "CHURCH" on a Sunday (neither place nor day biblically required) due to their job, then they are violating some rule that God has ordained and are in sin?!?!? "some rule". Sigh. Making the main corporate gathering a priority is a wise, appropriate, and perfectly reasonable thing to do, based on what Jesus has done for us on the cross, what God has done in sending His Son, and what the Spirit has done in giving us gifts to use within His local gathering. Not to mention the scriptures already shared. The members of a church should be Christians. In Acts, those who believed the gospel were added to the church (2:41, 47). Paul’s letters to churches are letters to Christians (Rom. 1:7, 1 Cor. 1:2). While no church will perfectly discern who is and isn’t a Christian, every church should open its membership only to those who credibly profess faith in Christ. The members of a church should be regular attenders. 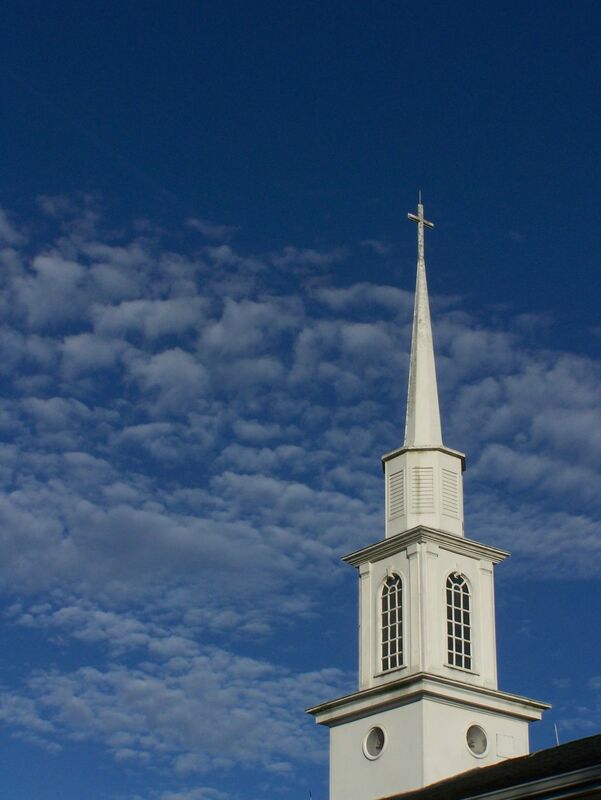 Church membership helps churches oversee the lives of their members. If someone doesn’t regularly attend, the church has no way of knowing how the person is doing. Members view the church as their primary context for fellowship and ministry. “I’m a member of First Presbyterian Church, but my real ministry is…” is an unbiblical way to begin a sentence. The New Testament is full of “one anothers” that were written to the members of local churches. That’s not to say that Christians shouldn’t fulfill those commands among Christians in other churches as occasion arises. Still, the New Testament envisions Christians fulfilling those commands primarily among a concrete group to whom they are accountable (e.g. 1 Cor. 12). Be in transparent relationships with other church members in which they care for, encourage, rebuke, teach, and learn from each other (Eph. 4:15-16). Submit to the church’s leadership and teaching (Heb. 13:17). Promote unity in the body (Eph. 4:3). Financially support the church’s ministry (Gal. 6:6). Use the spiritual gifts to build up the body however they can (1 Cor. 12:7). I wasn't going to comment on this topic, but after reading your dialogue with Glenn, you are definitely mistaken on this issue. "Going" to a church building isn't the issue here. What is required of the saints is gathering with other believers, for Bible teaching, fellowship, breaking of bread, and prayer (Acts 2), and this can happen in homes, not just in institutional/denominational churches. And it can be done on ANY day of the week, not just on Sunday. If you read Acts, they gathered daily. If the closest "good" church is an hour away, it is impossible to really have a living, active relationship to that body. Logistics of work, family, etc, would prohibit it. For saints in that type of situation, home-gathering with geographically closer, like-minded saints is perfectly fine. Then - there's the issue of those who have come out of outright abusive church systems (read up on the ongoings at Harvest Bible Church, outside of Chicago, for an example, it's a nightmare for those involved, and I'm certain there are many who have been greatly harmed). For those battered saints who are bewildered and afraid, it takes a gentle hand and a tender heart to draw them back into fellowship. It's called mercy, and grace. Cold, stern, legalistic "GO TO CHURCH OR YOU'RE SINNING" treatment is not balm from our Savior. And to shame Christians whose jobs routinely require them to work on Sundays (as many in the medical field have to, etc), because they can only worship on different days of the week, is preposterous! May the Lord have mercy if you ever have an accident or illness on a Sunday, and have to go to the hospital, where the doctor/surgeon who treats you is a believer who wasn't "at church" because he/she was there taking care of you! Do you not recall Our Savior healing a man on the Sabbath? Who was angry at Him for "working" on the Sabbath? Pharisees. Who was He angry with for that heart posture? Those very Pharisees. You really do have an unbiblical view here, and you have been very unfair to Glenn in this discussion. GTY and 9Marks resources are not the Bible. If you're going to use men's words as the benchmark, then why not quote JV McGee, who said that the early church began in homes, and as the church age draws to a close and apostasy spreads, he said he wouldn't be surprised if the church ends in homes. Finally, before you send any ad-hominem my way, my husband and I do "go to" a institutional/denominational building, where the teaching is sound. In our area, it is a rarity, so we are very blessed. But I know many who are living in areas devoid of good institutional/denominational churches, and they still gather for worship with other believers in homes, etc. And they are not in sin. 1. I never said Sunday was the only day. But the first century church made gathering a priority on the first day of their week, which was Sunday. 3. I used scripture several times and also included the 9Marks outline of church membership and attendance, an essay which makes eminent sense, especially when considering membership, submission, and gifts. GTY and 9Marks used scripture. Read it, you'll see. It's OK to "use men's words" when they are using the scripture for the basis. 4. I take a dim view of your "before you send ad hominem my way" Mercy, Carolyn!! 5. It's the biblical view. Again, it's the biblical view.